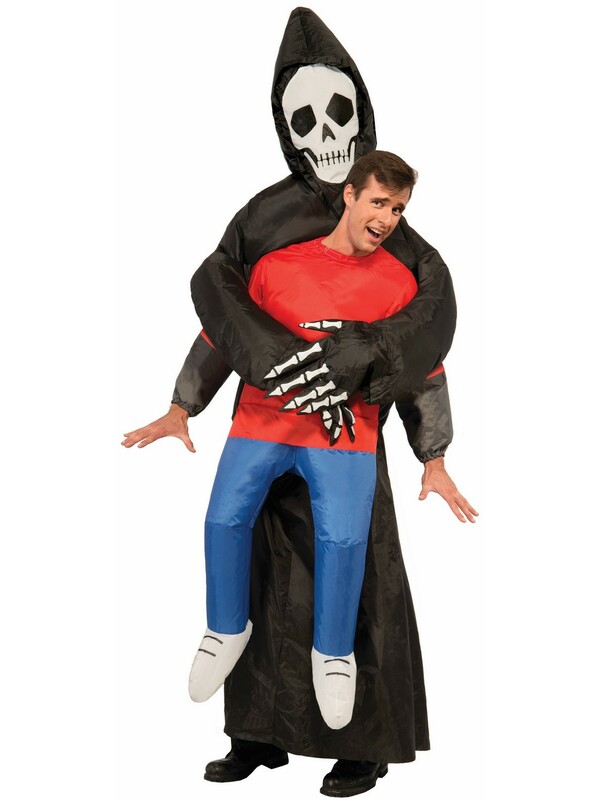 Don?t fear the reaper --- this friendly bonehead just wants a hug! The Inflatable Reaper Costume is equal parts spooky and silly, and is sure to be a hit this Halloween. This one-size-fits-all skeletal shroud is easy to set up. Just inflate and you?re ready to go! Requires 4 AA batteries (batteries not included).